The pilot of the light sport airplane reported that, during his 3rd solo touch and go landing, the airplane "started rising" during the flare. He initiated a go around and applied full power, but the airplane nosed forward and landed hard. The airplane sustained substantial damage to the wings, fuselage and empennage. 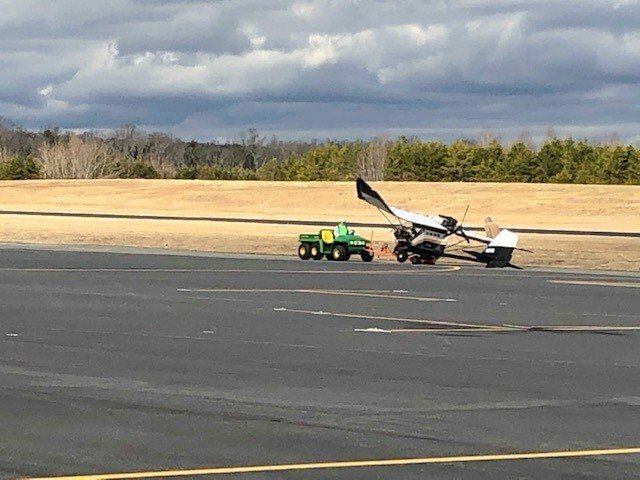 ROCKINGHAM COUNTY, North Carolina — A pilot was injured in a small plane crash in Rockingham County Friday, according to Shiloh Airport Manager Edward Trammel. A male pilot flying a Rans S-12 aircraft attempted to land at the Shiloh Airport Friday. Trammel said the pilot had an odd approach and tried to correct it, but it didn’t work. The aircraft bounced while on approach and the pilot lost control of the aircraft. Trammel said when the pilot knew what was happening, he coasted it and glided the aircraft over to the side of the runway and hit there. He indicated it came to rest off the runway. The pilot broke his ankle in the crash. The pilot was the only person aboard the aircraft when the crash happened. With the exception of the aircraft, there was no property damage as a result of the crash. 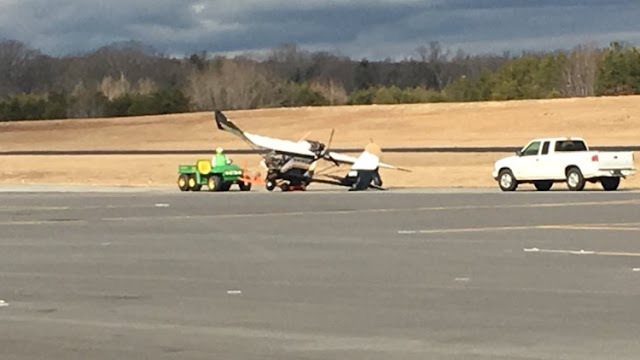 Shiloh Airport was briefly closed Friday afternoon while the aircraft was towed to a hanger but has since reopened. ROCKINGHAM COUNTY, North Carolina — First responders are investigating a small plane crash in Rockingham County. The crash happened just after 10:00 a.m. Friday morning at Shiloh Airport.The airport is located on Settle Bridge Rd in Stoneville. Rockingham County 911 says there has been one minor injury reported.